Turkey has been in the spotlight recently as a seemingly-valiant foe of Saudi Arabia’s allegedly murderous prince, but behind the scenes, the country’s leader has continued his authoritarian ways. 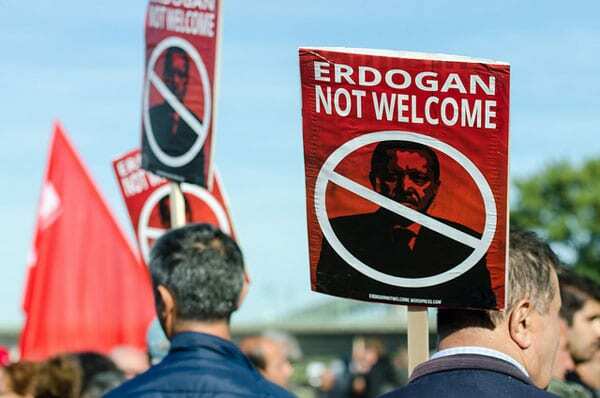 According to Reuters, President Tayyip Erdoğan recently detained a dozen activists accused of planning protests against the government, including a scholar and writer who supported the establishment of an Open Society Foundation in Turkey in 2001. Erdoğan also publicly attacked George Soros, who has faced increasing criticism—much of it laced with anti-Semitism—for his philanthropic efforts as nationalistic leaders seek a scapegoat to consolidate power. Now, the Soros-funded Open Society Foundations are poised to leave Turkey due to the increasing pressure from Erdoğan, on the heels of the Foundations’ departure from Hungary earlier this year. One of the 13 people detained on November 16th was Hakin Altinay, who helped establish the Open Society Foundation in Turkey. Others were staff members of [Osman] Kavala’s Anadolu Kultur center, which campaigns for human rights and cultural diversity. All but one of the detainees were later released, but not before the European Union and United States expressed concern about their cases. Ankara’s Western allies have repeatedly criticized the arrest of tens of thousands of people since a failed military coup in Turkey in July 2016. In 2017, NPQ wrote about the need for civil society to take center stage as Turkey’s democracy collapsed. However, when even a high-profile, well-financed organization such as the Open Society Foundations is forced to depart a country on the brink, it’s unclear what the future will hold for smaller NGOs and activists. In a July NPQ story, we reported that the attacks against Soros and the Open Society Foundation in Hungary have caused Soros to doubt the future of liberal democracy here and abroad. He also questioned whether civil society can survive under new-age autocrats. While the organization hasn’t announced whether its Turkish staff will work out of a different office, Open Society also has initiatives in Jordan, Georgia, Pakistan, and Afghanistan, among other locations. Despite concerns that Syrian immigrants add to social and economic instability, studies in the United States and Turkey show that the opposite is true. Could there be partnership between immigrant advocacy and economic growth nonprofits?